Search the hashtage #vintagetrailers on Instagram and you’ll discover some 80,000 images of big, small, and mid-sized aluminum travel trailers from roughly the 1950s to 1970s. You might find gleaming silver Airstreams at a lodging rental in Joshua Tree or parked temporarily at a campground near Yellowstone. One trend that hasn’t lost steam is the backyard she-shed trailer escape, a dolled-up adult playhouse where women–or men–can escape for alone time or to hang out with friends and a bottle or two of wine. There’s even a Vintage Trailer Magazine for enthusiasts. 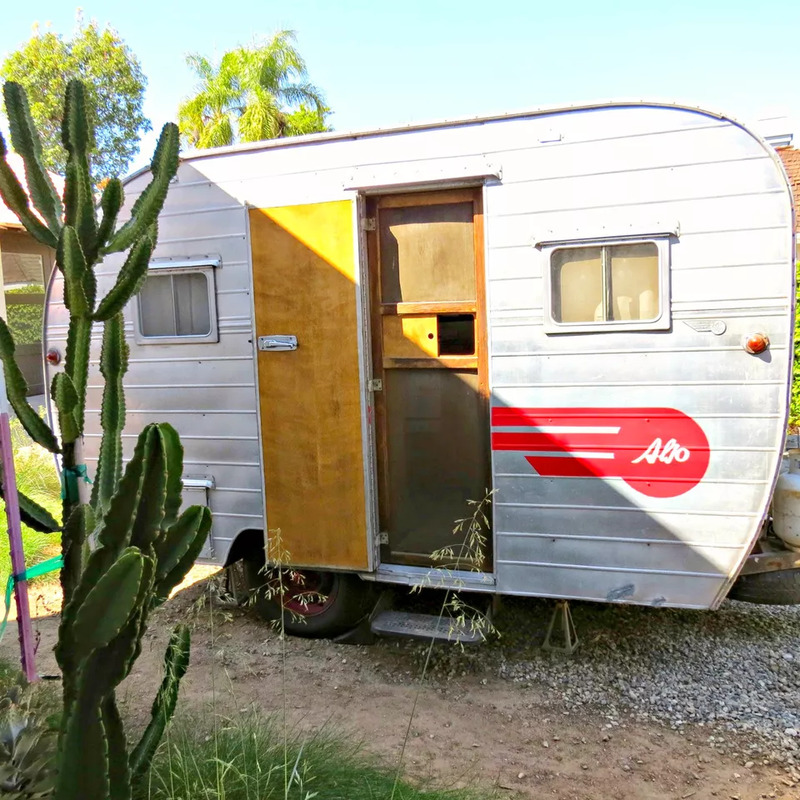 This vintage Aljo trailer rests in the backyard of a house in Pasadena, California.